You may not know it, but Bosmere has been distributing Spear & Jackson tools here in the US for over 10 years. We love the Heritage Range here in the office because of what it stands for; a time when tradition and quality went hand in hand. 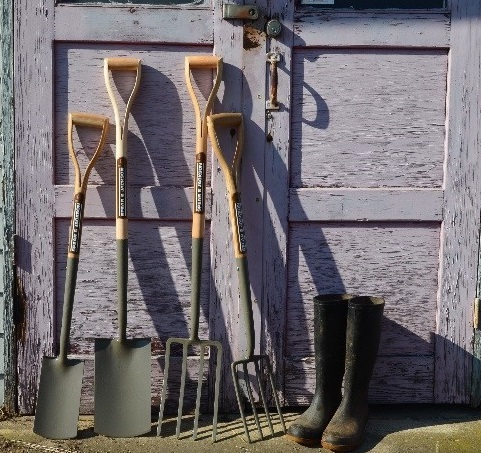 Here’s a little info on Spear & Jackson: For over 250 years they have been making garden tools that have been responsible for shaping British gardens. 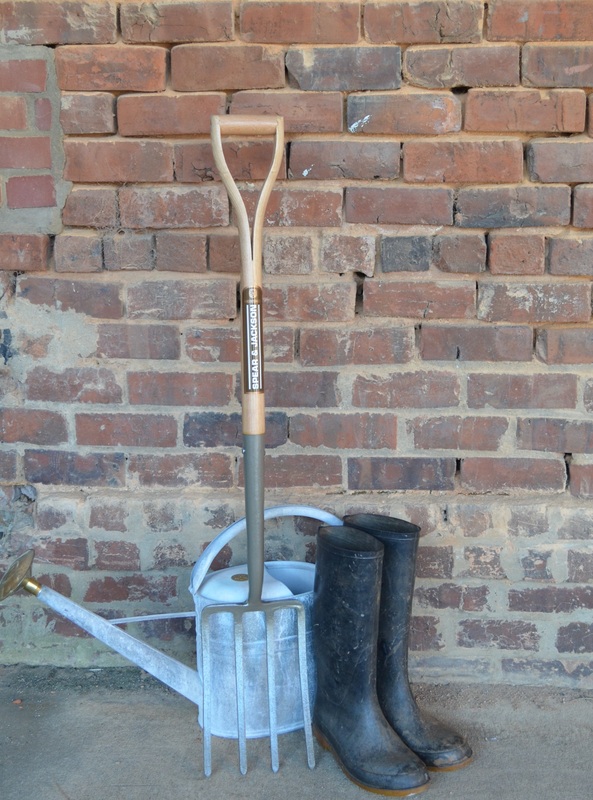 Spear & Jackson manufacture their garden tool ranges to a time-honored method. By combining traditional English craftsmanship with leading-edge precision technology, Spear & Jackson produces excellent quality, innovative and comfortable tools that have been responsible for making the company a UK Brand leader. The design of the Heritage range is inspired by the tools of yesteryear, reminiscent of tools passed down from generation to generation. 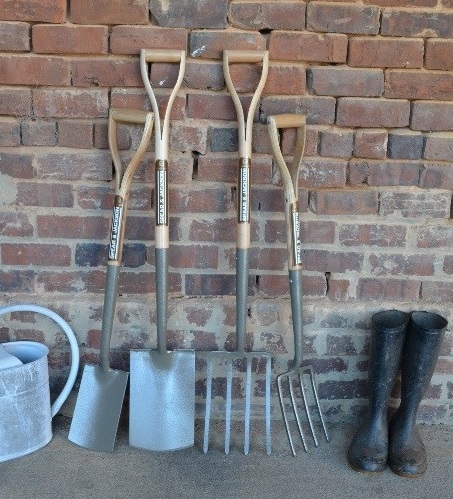 Each tool offers a standard of traditional quality which is appreciated, admired and demanded by the serious gardener. They all come with the built-in reassurance of a 10 year guarantee. 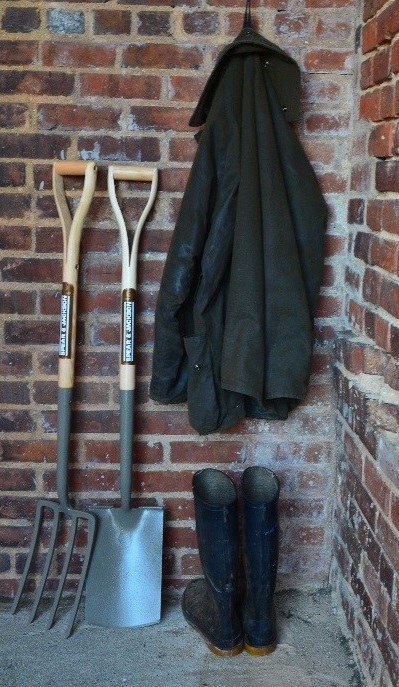 Before I started at Bosmere, I thought you used a spade for digging holes to plant flowers and forks were used on a farm for hay (I now also know those are actually called pitchforks!). So, I was very naïve but, that’s ok, because I’m going to try and break it down for you. 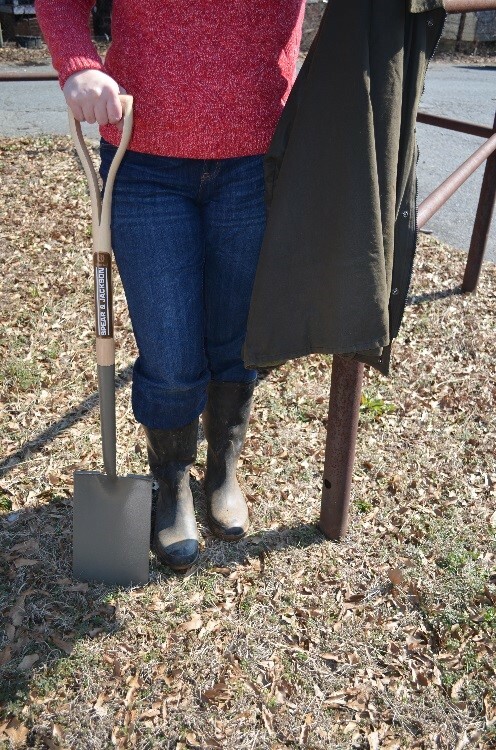 Digging Spade – Great for tough jobs like digging holes (I was kinda right) and moving soil. Probability the most versatile tool, it just begs to be put to work. Whatever needs to be done in your yard, you are going to want this tool close by. We were transplanting hostas in our back yard this fall and used it to: dig up the original hostas, cut the clumps into smaller prices, break open the bags of dirt and fertilizer, dig the new hole and lastly smooth the dirt back down around the new hosta. 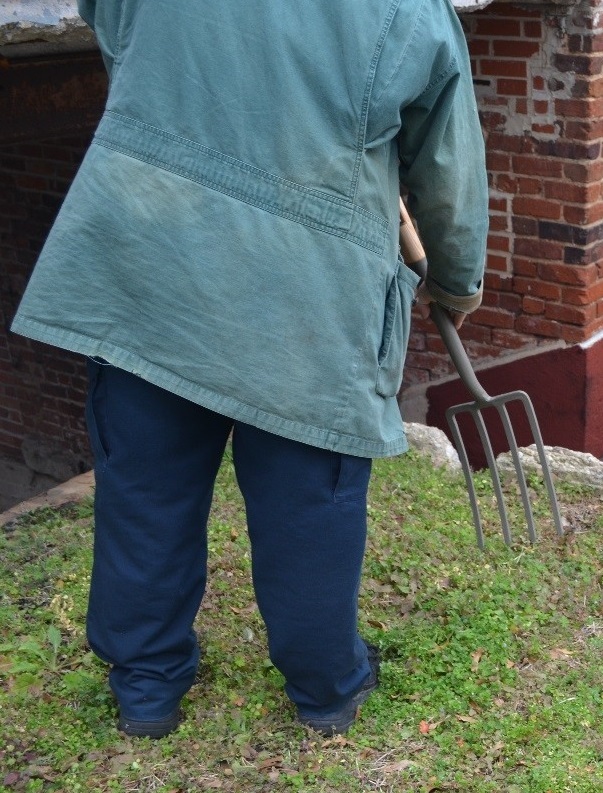 Digging Fork – Forks are used for loosing up and turning over soil, forks are better than spades at doing this because each tine (the long skinny, pointy bits) can penetrate into the soil better than the one long edge of the spade. 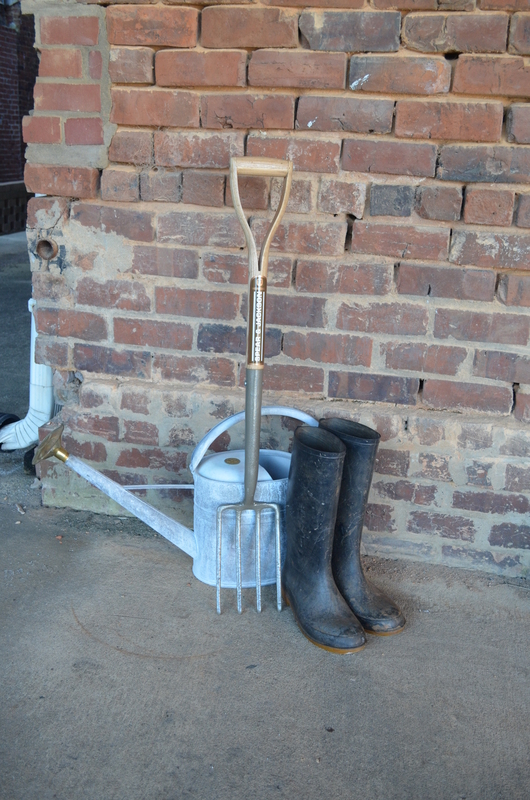 Forks are also great for digging up roots vegetables, weeds and bulbs. Our office gardening expert loves this fork for getting rid of monkey grass. Border Spade – Same design as the Digging Spade, but just in a smaller size. 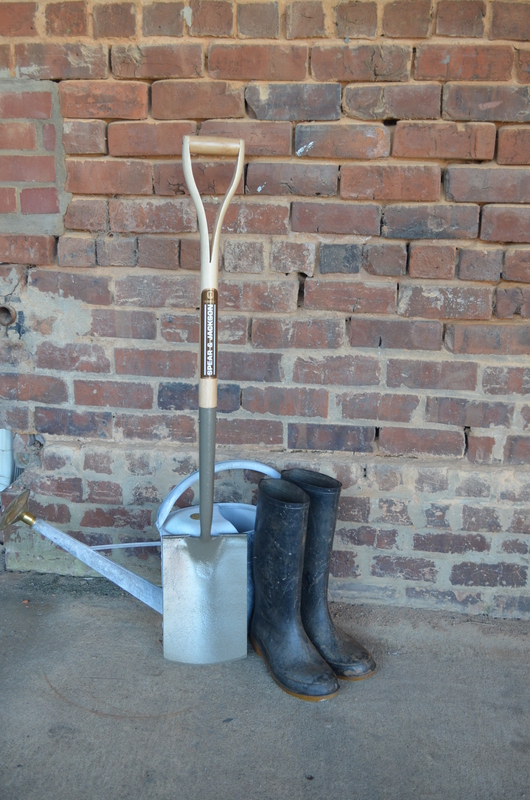 This spade still works hard, but is suited better for tight spaces or for someone who needs a lighter spade. It was once referred to as a “ladies spade” but thank goodness we got over that! Border Fork – this is just like the digging fork, but smaller. This can do everything the digging fork can, but is more manageable to a smaller person or more comfortable to use in smaller spaces. 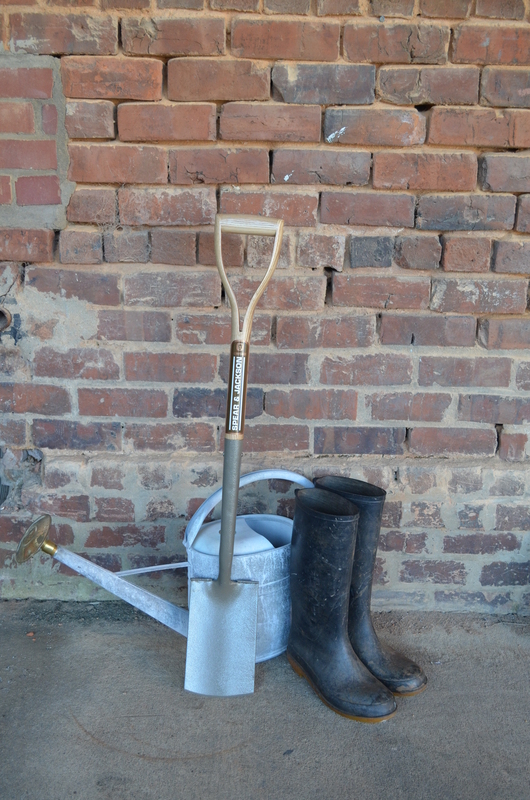 We have red clay soil here, so this is a must have for working with the heavy clay without breaking your back.